Happy Monday! 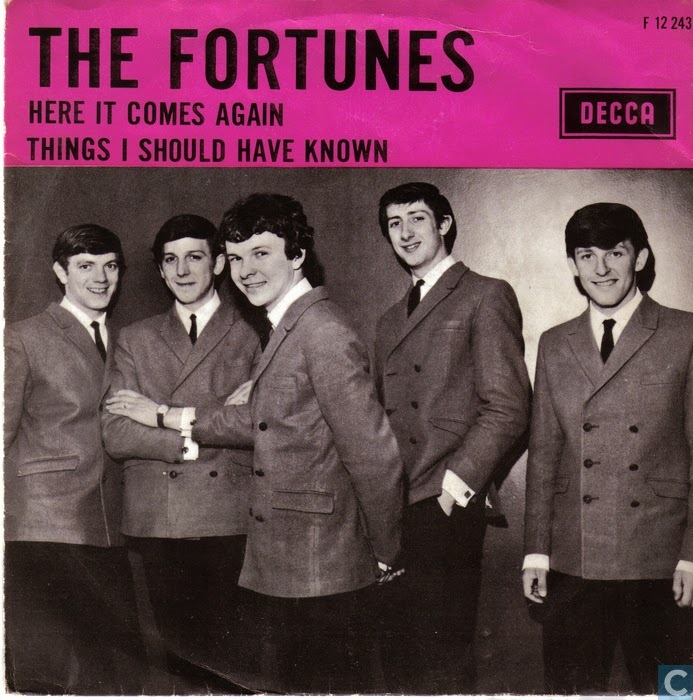 My Music Monday selection this week is "Here It Comes Again" by The Fortunes. This British Invasion tune was a hit in 1965, and it features five singers and some great harmonies. I found a neat old video of the song -- it is a bit grainy but fun to watch (and to listen to). Enjoy! I love reading your blog and each post brings back memories. I always look forward to seeing what your next post will be. I definitely remember the Kissing Potion lip gloss. I had the Cinnamon flavor. At that time I really believed it made my lips look 'kissable.' lol I don't remember The Fortunes, but Steve does, and he liked that song in particular. Thanks, Deb and Mary, for the comments. Deb, neat that you remember the Kissing Potion and Steve remembers the Fortunes. I love this song ... always makes me happy to hear it on the radio.